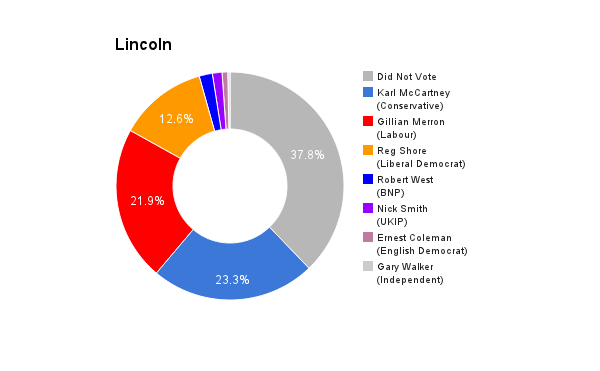 Lincoln is located in the east of England. The seat was created in in 1265 and is the oldest seat in continuous existence. It has been a bellwether seat since 1974. The current member of parliament is the Conservative party’s Karl McCartney who has served since 2010. I was born in Lincoln and have lived in the city all my life. I attended St Peter at Gowts Primary School on the High Street before moving to St Peter and St Paul’s Catholic High School. After leaving school, I studied International Relations at the University of Lincoln. I currently work as an Optical Assistant at Specsavers Opticians. My political life is all done in my spare time and is done on a voluntary basis. My own political views were shaped during my teens with the Iraq invasion in 2003. The Liberal Democrats’ stance against the Iraq war led me to join the party during Freshers’ Fair when I started at the University of Lincoln. I also believe in the Liberal Democrats commitment to human rights, the environment, devolution and social justice, in particular their record on LGBT issues. Lincoln has always been a city I have been proud to call home. For years, Lincoln has been let down by MP after MP having no connection to the city and failing to deliver on what Lincoln vitally needs. 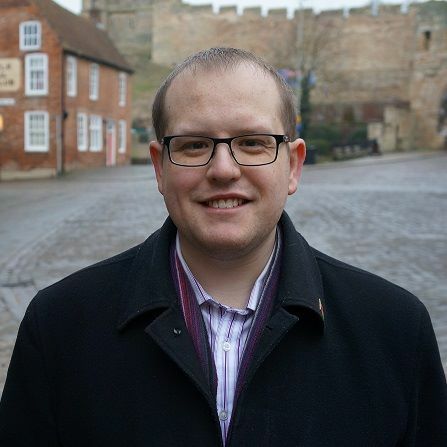 Lincoln needs a MP who is willing to stand up for the city and make sure the voices of residents are heard in Westminster. I will ensure that a stronger economy is delivered and a fairer society created to give every resident of Lincoln the opportunity to get on in life. I would continue to live in the city and I would ensure there is an office for local residents to come to visit me for surgeries and seek advice and help. Being local, I believe I am well placed to understand the needs and concerns of Lincoln’s residents, and has the passion and commitment to fight for a better deal for Lincoln at Westminster. I am very proud that our party has helped get the country back on its feet. Spending has to have some limits in terms of spending within its means. That said should not mean cuts for cuts sake and they have to ensure the most vulnerable are not hit. Both. We’d have virtually no NHS without immigrants, for example and the farming industry around the Fens would collapse. Equally, if Lincoln residents want to work or move abroad in the EU, they can. We do need improved systems for counting who arrives and, importantly, who departs, and how long and for what reason they stayed. We need to raise the income tax threshold to £12,500 to give working families additional £400 tax cut from the £825 delivered by the Lib Dems in Government. We also need to make sure the energy companies pass on any reductions to their customers fast and make the market move competitive by bringing additional players in the markets. I think the NHS needs to have the £8bn of investment they said they need, but we also need to invest in new technology and treatments to continue to provide the best treatment. Another thing the NHS needs is stability with a long term plan drawn up by medical experts with all parties working together. Jobs fairs are a good idea and seem to work. On youth unemployment, this is the first year that all young people have to stay in education until 18, no matter what their attainment level. So the figures will look very different soon because of in-school 16-18 year olds who otherwise wouldn’t be there. Apprenticeships also seem to work well, especially if they really do involve training for 1-2 years (instead of a superficial 2-4 months for example). Yes, to an extent. There need to be more women, more BAME elected representatives, more people with disabilities and LGBT+ politicians in Parliament. We also need to look at jobshares at every elected level from Councillor up to MP. I would encourage constituents to vote to stay in the EU, because we cannot be effective in isolation and because approx 3 million jobs in the UK are directly dependent on our membership of the EU. I am 63 years old and I have always believed in equality, empowerment and social justice. I am working class and I was born in West Yorkshire. I was a bright and questioning child who valued friendships, loved animals and being free. I was the first person in the family to pass for grammar school but I rebelled against the conformity and segregation and did not achieve my potential. I was punished rather than encouraged or listened to. When at school, I spent most of my time in the art room where I did not feel judged and after school I went to Art College but became pregnant with twins before I finished my course. I married the father because I was told I had to but this was a grave mistake for both of us and I was virtually a single parent from the day my children were born. I soon became aware of my strength in adversity and the strength of conditioning that women receive about their duties has a wife and mother. I wanted something different for not only me but also my daughter’s. I joined women’s groups, CND and read sociology and psychology books and developed an analytical social conscience. This resulted in me enrolling on a Behavioural Science (Hons) Degree and then becoming a Social Worker and within these twenty years I have worked within varies settings requiring various levels of expertise and skills. If I was to become an MP I would not shut myself away from the electorate. I have always been grounded and hands on and this would not change. I have always been open, honest, considerate and reliable and I would always strive to continue working in this way. I have a vast array of life experiences. My family worked in both agriculture and industry. I feel I would bring a different approach to politics by making sure people’s needs are put above profit and by improving and maintaining the environment. 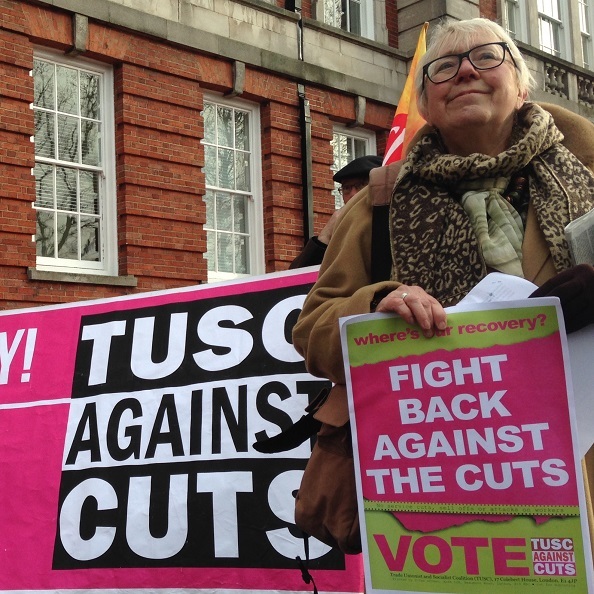 People of Lincoln deserve better than continued cuts to services. People say he has pushed for improved access both within and to Lincoln. I do not believe that austerity is working. It was always the intention of this government to further destroy public services and the collective security that the welfare state provides. It is no coincidence that inequality and poverty have increased. Austerity has hit ordinary people and particularly the most vulnerable hard whilst the wealthy have gained from it. There is a blame game going on and I do not believe that migrants and refugees are to blame for a single problem that we face in our daily lives. They have been scapegoated and used to deflect from the real culprits of public sector and benefit cuts, poor social housing and privatisation of the NHS. Immigration brings wealth, social and cultural prosperity. People in Britain need a pay rise. The existing minimum wage is not enough and a living wage of £10 an hour is needed. Also the state pension for all should be increased in line with a man’s average wage (we have to continue the fight for equal pay). The cost of our utilities, food and housing should also be addressed. The NHS needs to be brought back into full public ownership and there should also be a National Care service, better community and residential provision and more holistic care generally. Youth employment and development should be a stronger focus in schools. Education should focus on the whole person and not only be about academic attainment. Young people should be supported to build their confidence and self esteem and not be written off. We can only start to tackle unemployment if we address the failure of the economy to meet the basic needs of our society; access to jobs, to social services, welfare, health, education and appropriate housing. I believe that MP’s no-longer represent society. The majority have no real understanding about what it is like for the majority of their electorate and how tough life can be for many. I believe in global rights for workers and a change of power structure would be necessary to improve the function of the EU.